Autumn is here and though it is one of my favorite seasons, there are definitely things to be missed about the summer months. Its long days and light, refreshing foods keep us energized and even result in a more positive disposition. And though at times an aggravation, the higher temperatures result in better circulation and more frequent perspiration which naturally expels unnecessary buildup and blockages within the body. This, in turn, keeps us feeling lighter on our feet and more attentive to adequate hydration than full tummies. We are also less inspired to stand before a hot stove and therefore eat more raw fruits and vegetables. 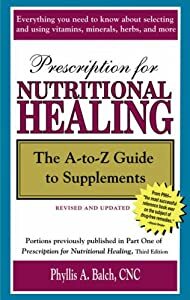 By default our bodies organically experience crucial processes and receive health enhancing nutrients they’d otherwise have to rely upon us to facilitate and supplement. Once again I must applaud Mother Nature for this brilliant strategy! And rather than dwell in our loss of the luxury to merely semi participate in our bodies’ wellness, let us embrace this transitional time and revisit some previously mentioned practices. Cleanse- The start of a season is the perfect time to wash away all that has lingered from our foods, beverages and surrounding environments. It’s an opportune time for making new lifestyle resolutions and cleansing is the appropriate process to reset our systems and prepare our bodies for the coming changes. To achieve that squeaky clean feeling, I refer you back to my fav: the Ultimate Cleanse by Nature’s Secret. Remember however, if you are still nursing that annoying end of season cold it is best to wait until you have recovered to begin the cleanse. Strengthen & Tone– Post cleansing care will certainly be enhanced by the whopping 25 billion count of probiotic cultures found in the Green Vibrance super food powder. The ongoing benefit is its potent blend of antioxidant fruits, vegetables, grains and herbs. For those who are turned off by drinking green things, I promise you it is more than worth it. It tastes great in OJ and the color is even toned down a bit by the orange. Close your eyes, take a deep breath and leap! Adapt & Defend– We most recently covered the importance of a strong and adaptable system to maintaining health and fending off illness; and this supplement is one of the most popular and trusted immune boosters on the market. The Wellness Formula contains the antioxidant VitaTrio, protective minerals Selenium and Zinc, Adaptogenic Herbs and immune system tonics like Astragalus Root, plus the more familiar flu fighters like Garlic and Echinacea. This supplement stays on my love list in part because of its versatility. There are dosing programs to both maintain an already healthy body and heal an ailing one. Use as directed, according to your current state of health, and feel secure in the knowledge that you are insuring wellness from all angles. capsules or tinctures when seeking stronger immunity boosts and healing. …to apples, dates, cranberries,pears, plums and figs; garlic, shallots, ginger root, pumpkin, butternut squash,sweet potatoes, turnips, yams, oats and amaranth oh my! Let us not forget the almonds, cashews, pistachios, pecans and all of their savory oils and butters. Enjoy and even indulge in these fall gems as many of the most praised detoxifiers, immune enhancers, body builders and brain boosters originate from them. I could go on and on, but I’ve made myself hungry and now need a hearty meal to start the day!